54 Comments on this post. So what happen with Holm and Germaine? They are no longer in Bantamweight category but the only ones in Featherweight. So if someone else want Featherweight title needs to get fat? How the heck is Ronda Rousey Ranked #3? And Holly Holm is not even on the list? 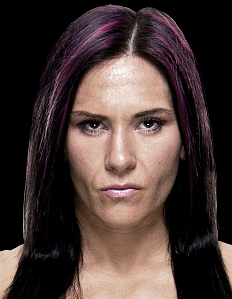 I know that Holly has now lost 3 fights in a row… but she is STILL way better than Ronda Rousey. I would put Cat, Raquel, Julianna, Germaine and prolly a couple more easily ahead of Ronda. Based on what? Certainly not their records. To be honest, until Rousey can prove that she’s back in the game against a ranked opponent, I would be inclined to leave her off. She could be shattered beyond repair. 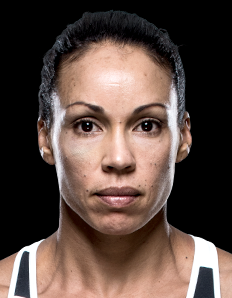 It certainly appeared so in her last fight, yet she did finish Cat in 14 seconds who in turn finished Nunes. But you know what they say about MMA math. however, after 3 straight losses, the most recent one against a fighter that had defeated no one of note in the past 2 years, could easily be left off as well. Not based off their Records, I know records can be inflated. Ronda’s record was to make her look invincible, she only faced fighters who were good match-up to her style, limited style at that. I base off of watching them fight, watching their skills, their mind set, technique and versatility. Ronda caught Cat… Cat basically fell into a position that favored Ronda. In wrestling, I have had opponents end up in a position that I caught em and pinned them. If Cat fought Ronda again, I highly doubt Cat would make that mistake again. Same with Conor / Aldo . . . if they fought 10 more times, I don’t see Aldo getting caught in the 1st 15 seconds again. Regardless of who Holly has lost to…. she still beats Ronda. You lost me, Keith, as soon as you implied that Ronda’s record was (contrived) to make her look invincible. With the exception of Correia, and in all honesty Holm, Rousey fought the best in her weight class. 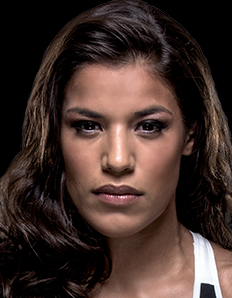 The only reason that she didn’t face Nunes was because Cat had recently beat her, and some time earlier, Alexis had. At least Correia and Holm had undefeated records, and victories over opponents ranked higher than any of GDR’s over the past 3 years. 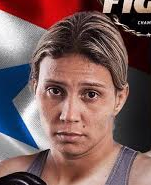 Cristiane Justino is going to take over this division, it’s just a matter of time. Cyborg’s whining now about going to 145. 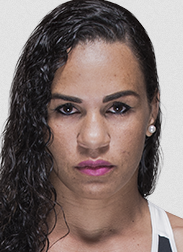 Apparently she turned down two fights in the UFC at 145 to fight Holly and Germaine, the latter 3 months from now. She claimed that wasn’t enough time for her to get physically and mentally fit. Give me a break. They gave Cyborg 8 weeks to try and make the cut. She asked for the fight to be in March. She told them that she needs 12 weeks to safely make the weight cut — key word…. SAFELY. If you have never been in a sport that requires you to cut weight, you have no business commenting on cutting. She did not refuse to fight, she just asked for them to give her enough time to make a safe weight cut. The UFC had nothing, no other fight to headline UFC 208, so they offered the fight to Germaine and Holly. If they would have been able to do the fight in March, or asked Cyborg about it earlier, then she would have not declined. You’re barking up the wrong tree, Keith. I was a state wrestling champ at the University level, and in high school, I was 6’1 and wrestled at 138. I know a thing or two about cutting weight and keeping it off during the season. Her problem, besides past steroid use that added unnecessary muscle, is her mercurial drops in weight. I believe I read she weighed close to 170 the week before the fight. That’s plain stupid, if accurate. If she needs more than 8 weeks to make weight, she’s fighting at the wrong weight class. I’m more inclined to believe that she needed the 8 weeks to cleanse her system. How come after 4 straight losses Eye is still number 11 here? Makes no sense at all. I understand she’s been fighting some of the best in the division, but still, 4 losses are 4 losses. Tobaaaarr thanks for providing your own rankings. Eye’s ranking factors in her strength of competition and the close nature of many of her losses. Fighters like Condit and Gustafsson, both of whom also have lackluster records over the last 2-3 years, but it’s their strength of competition that holds up their ranking. Fighters ranked below Eye will hopefully test their skills against Top 10 competition to get a better gauge of where they stand in the division. WBW is very unstable and I fully expect Eye to fall farther down the rankings as inactivity factors in. Thanks again for your comment, keep ’em coming. Pretty good job of ranking,but I’d be inclined to rank Davis above Correia. why Miesha Tate not rating? She retired after her fight with Pennington. If she stays true to her word, she’ll not be a competitive fighter anymore, therefore she shouldn’t be ranked. Well you were right on Andrade, not so right on Grasso. 50/50’s not bad in this sport. 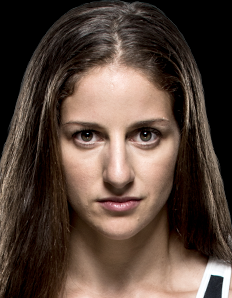 Can’t believe they cut Sarah Kaufman…she was Strikeforce champion. Agreed but can’t believe that Sarah’s just joined some new-fangled Korean organization. I thought she’d join Invicta or Bellator. You wrote she is from peru, and she is not from peru. You are crying about her having a Russian flag and wanting a perivian flag when she is not even close to being a peruvian. She was born in the soviet union not in peru there for she is not from peru there for why should she have a peruvian flag. You know that Maria Sharapova(Tennis) claims a Russian flag by her name…. yet she has lived in the USA for over 20-some years? Ronda and Holly should be higher, no way they’re below Miesha. Cain is still the #1 HW for me. Chris and Rockhold are def higher than Bisping. I agree with the rest tho. 1 lost = nothing. Holly will be back but Tate ? she’s done. How will Cyborg change that if she can’t make 135lbs? So friggin amazing to see Ronda @ #2! 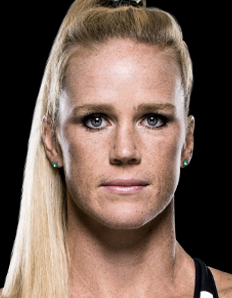 Wish I woulda had a bet placed on Holly Holm. I don’t need to google the odds to know it woulda been a hell of a payday. Sorry to hear that. BTW, the 135 lbs. weight class is the women’s bantamweight division. Were you meaning to say “There is just not enough depth to warrant the current 115 lbs. weight class.”? I think there’s more depth to the SW’s than the BW’s. 145 is definitely quite shallow. I was waiting for TUF 20 to start since a lot of the division’s best haven’t officially debuted in the UFC. 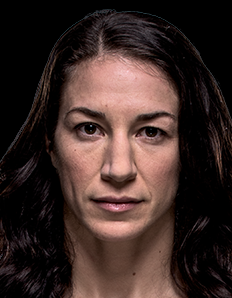 Who has Sara McMann beaten to be ranked above Meisha? I know Miesha was on a losing streak, but both her losses were to the Champ, where she did WAY much better than McMann and the #1 contender, whom she was dominating for 2 rounds before getting her sweet behind handed to her in the 3rd (if she had somehow survived the blitz she could’ve potentially won the fight or most likely id had been called a draw). 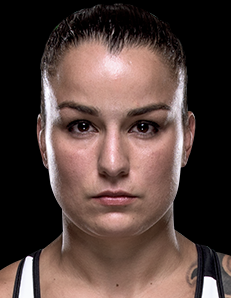 Outside of that, wins over Kedzie & Carmouche > Gaff and Baszler. I 100% understand where you are coming from. As you may have noticed I was one of the only sites around that had Tate ranked above McMann prior to UFC on FOX 11. 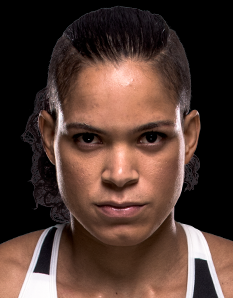 Yet, after watching Tate’s recent performance against Carmouche, I was very underwhelmed with her wrestling in the first 2 rounds. It could be argued that Tate lost rounds 1 & 2. Based off Tate’s last 5 fights vs. McMann’s, McMann got the nod. 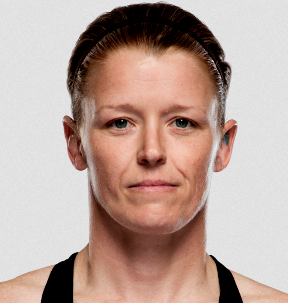 I realize McMann looked bad against Rousey, but she’s looked decent against everyone else. Tate was very competitive in her losses, but close wins over Kedzie and Carmouche just weren’t enough. 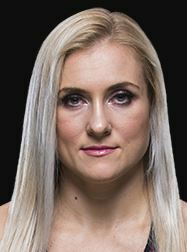 Kedzie just lost back-to-back fights to very poor competition, and was 0-4 in her last 4 fights. As for Carmouche, she’s 1-3 in her last 4. 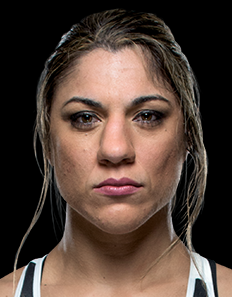 I do think Tate performed very well against Rousey. 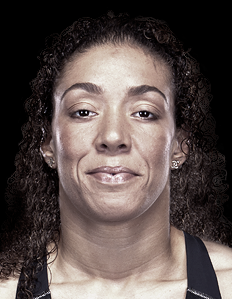 At this point, based off the Carmouche fight, I had to slightly penalize her for nearly giving away the 1st & 2nd rounds. I did struggle with placing McMann over Tate, so it is certainly up for debate. Thank you for your comment, it is always greatly appreciated for any feedback, especially coming from one of my long-term readers. I see where you’re coming from and I’d totally agree with you if McMann didn’t also fight very poor competition too (even poorer) therefore would naturally look better against them. When you say she looked decent against everyone else I don’t think it means that much when everyone else are Sheila Gaff and a declining Shayna Baszler. I agree that both Carmouche and Kedzie aren’t what you’d call championship wins but they’re still leaps and bounds above Baszler and Gaff (well, maybe Baszler and Kedzie cancel each other out of the equation but Carmouche is definitely the vote swayer when compared to Gaff), so when taking into consideration their last wins, Tate’s were better and the only opponent they share is Rousey in which Tate looked way better than McMann, twice. I guess it’s all a matter of interpretation. As usual, you know I always value your take on things. Thanks for the suggestion. 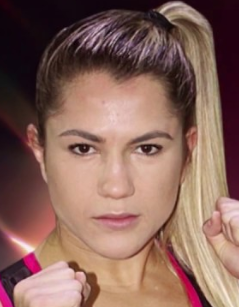 At this time, a Women’s P4P rankings, is not going to happen. It would require a lot of research and time to familiarize myself with some of the fighters outside of the UFC and Invicta. I wish I could pull it off because I realize there are some very talented fighters on the regional circuit not getting their due. Unfortunately, I won’t be ranking different women’s weight classes anytime soon. There is just not enough depth to warrant the current 135 lbs. weight class. Maybe, Cyborg will change that, but for now, we will only be ranking the women’s bantamweight division.